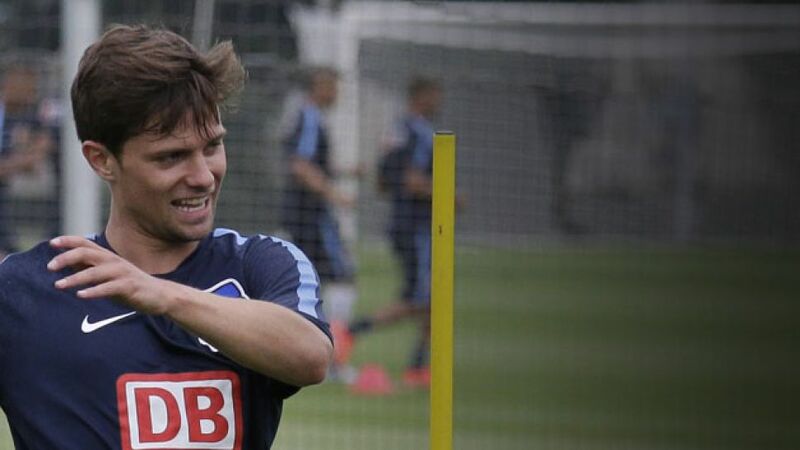 Berlin - Out to avoid the dreaded second-season syndrome, Hertha Berlin have made some big moves in the marketplace this summer, and from the capital city side’s perspective, none were bigger than the capture of sought-after star signing Valentin Stocker. While the signings of John Heitinga, Roy Beerens, Marvin Plattenhardt, Jens Hegeler and Genki Haraguchi have added strength in depth to a team that dropped dramatically from sixth to 11th in the second half of last season, Stocker is expected to slot straight into the starting line-up. Far from being a like-for-like replacement for Dortmund-bound Adrian Ramos, his technical ability in being confident to take on a man at pace will undoubtedly go a long way to ensuring the Colombian’s departure will not detract too much from Hertha's dynamism up front. Whether it be from the either wing or operating as a diminutive front man, Stocker’s time with Basel - which saw him lift six Swiss Super League titles and three Swiss Cups - has prepared him well for taking the next step in Germany’s top flight. “He can assist and he can score. He’s got a really good nose for goal,” said Switzerland head coach Ottmar Hitzfeld, whose claim is backed up by the winger’s superb record of 50 goals and 62 assists in 175 games for Basel.